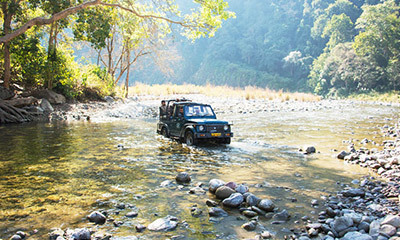 Dhikala forest rest house is located in the heart of Corbett national park on the bank on ramganga reservoir. 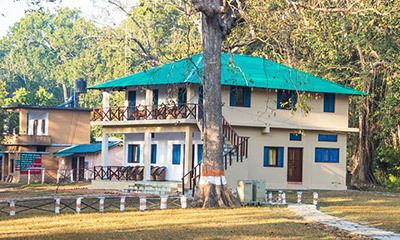 Dhikala forest rest house or Dhikala forest lodge is managed by forest department of Corbett National Park and provides largest facility to the visitors of the Jim Corbett National Park to stay inside the forest. Picturesque location and beautiful surroundings make it an ideal place to stay away from the hustle bustle of city life. 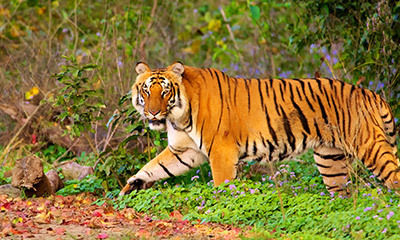 Dhikala forest rest house is the only forest rest house within the Corbett Tiger Reserve which provides the facility of electricity within the rooms and thus is ideally suited for families. 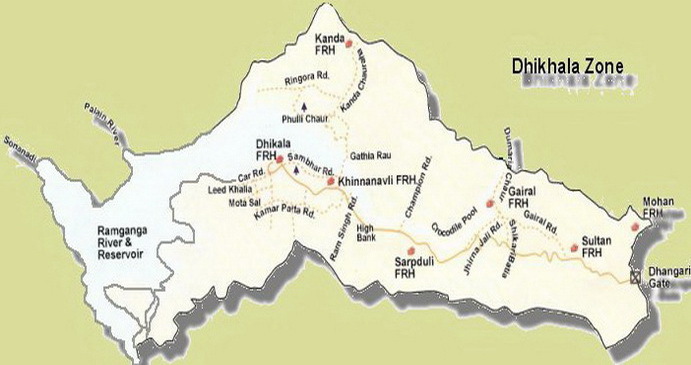 In order to reach Dhikala forest rest house , one has to enter the Corbett National Park via Dhangarhi gate. 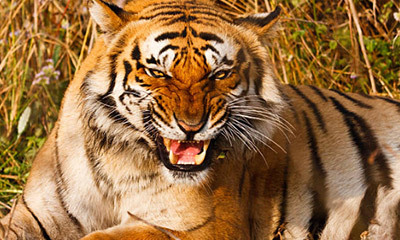 Dhikala is named after the huge grassland known as dhikala chaur, which is one of the major attractions of Dhikala zone. 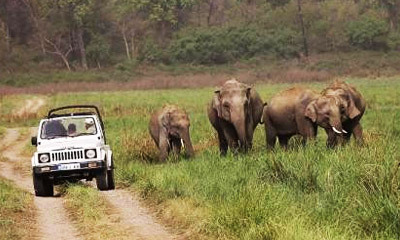 The journey from Dhangarhi to Dhikala forest rest house is adventurous and provides many opportunities for wildlife viewing. 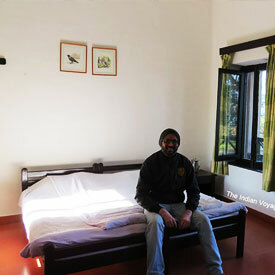 Apart from rooms, Dhikala forest lodge also has 02 dormitories, with 12 beds in each dormitory. Bathrooms in the dormitories are common. The food in Dhikala forest lodge is not a problem as there are two canteens within the premises of lodge. One of them is run by Kumaon mandal vikas nigam which is run by the tourism department of uttarakhand and offers buffet meals. Other canteen in dhikala forest lodge offers food in alacarte menu. Bookings of Dhikala rooms are mainly divided into offline and online rooms. 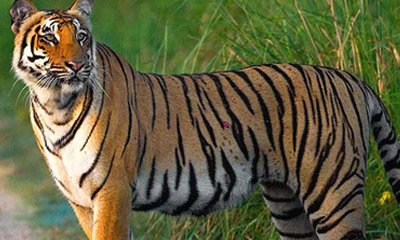 17 Online rooms are booked online through official website of corbett national park and 8 offline rooms are alloted by booking office available at Ramnagar. 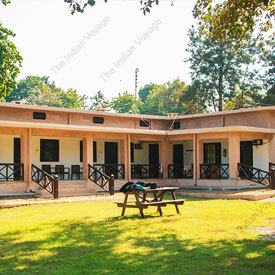 17 online rooms are further divided in Indian and foreign quota with 12 and 5 rooms respectivly. The Dhikala forest rest house campus is covered with solar wire fence. 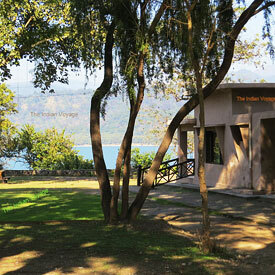 All rooms in dhikala forest rest house have washrooms attached with running hot and cold water. 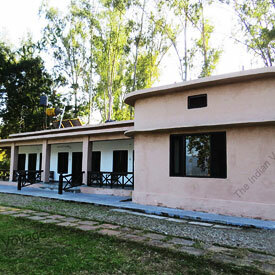 Dhikala is the only forest rest house in corbett national park which has electricity. All the rooms at dhikala forest rest house are basic and there are no TV’s, AC’s. Though rooms have electricity points to charge your cameras and mobile. Rooms of same category can differ in size and space.